The recent incident of an alleged US soldier murdering 16 Afghan civilians and the burning of some of their corpses, including those of children, in addition to instances of Quran burning and Marines urinating on corpses of insurgents solidified my view that the US troops on the ground will not be able to “win over the hearts and minds” of the Afghan civilians.I think that the vast majority of US troops at all levels of command make a sincere conscientious effort to follow this mission; nevertheless, the latest array of incidents clearly suggests the systemic problem in achieving this goal. Since the success of the military mission is contingent upon the currently adopted strategy of winning the hearts and minds of Afghan civilians, my last hopes of the US military’s ability to stabilize the country and to reduce the civilians’ support for the Taliban, have evaporated. Our troops are viewed by the local Afghans as an occupying force that brought the war and destruction to their land and the latest incidents only strengthens these views. Moreover, Afghan villagers are afraid of cooperating with foreign troops, for they know that the foreigners will eventually leave and the Taliban will punish those who cooperated. Back in 2009 Major General Michael T. Flynn, the top U.S. intelligence officer in Afghanistan, stated that the Afghan insurgency can sustain itself indefinitely. 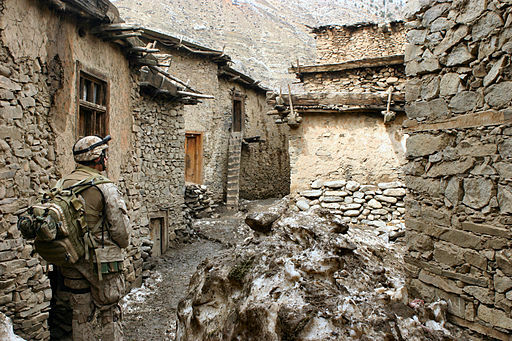 Just recently Lt. Col. Daniel Davis revealed from his experience on the ground “the absence of success on virtually every level”, and that our leaders are not telling us the truth about what is going on in Afghanistan. Many in Congress are currently revising their views on Afghanistan and I was encouraged to receive a letter from Congresswoman Susan Davis (CA-53) stating her commitment to ending the combat operations and swift withdrawal of our troops. Our senior leadership is long overdue for a full range of negotiations with opposition forces in order to integrate them into the Afghan power structure under the guarantee that they will not seek attack on American land, which the Taliban was willing to give back in 2009 in exchange for a deadline of troop withdrawal. To those who find it unacceptable I would like to remind them that, the Taliban never intended to commit the acts of terror in the US regardless of their hosting the al-Qaeda training camps prior to 2001. At that time the Taliban did not want to harm the US, but they are devoted to fight us for as long as we are occupying their land. Ultimately, we cannot fully protect ourselves from those who hate us, but we can learn to make fewer enemies by allowing other nations their self-determination.